Ralph stop that, it's making me nosebleed! But let’s look over other people’s works~ Yanfly created Lunatic States: Protection. 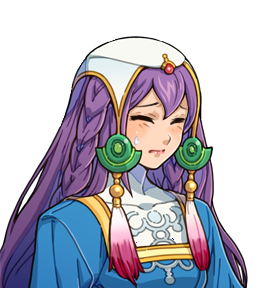 I really don’t know how to use Lunatic mode properly, I need to level up! And Yami created an Anti-Lag Script! Modern Algebra gives us a script that fixes pictures to the map. Useful for parallax mapping and he also has Animated Parallax too~! There’s also Cozziekun’s Pathfinding Script. Which is one of my favorite scripts out there since XP. And finally, Khas is back with PIXEL MOVEMENT script. I’m glad he ported it~ I was almost weeping when I thought VXA will take another 1232132131 years to have another pixel movement script. The caterpillar is kinda wonky tho (thanks to emmych for reporting that!) so stay tuned for the final version! Yes Ralph I'm sure of it. EvilEagles likes this like a boss. Sairen is getting more and more androgynous with each screen shot. WOw nice stuff and nice graphics. I will play princess princess when the full version comes.